A kindly tongue is the lodestone of the hearts of men. It leadeth the way and guideth. Picking up from where the last post left off, I need to explain how I am learning to balance the competing priorities of my life. As I explained earlier, not only is there sometimes a conflict between my introverted preferences, such as for reading and writing, and my need to operate in the world outside my head, but there can also be a clash between my desire to read and my desire to write. 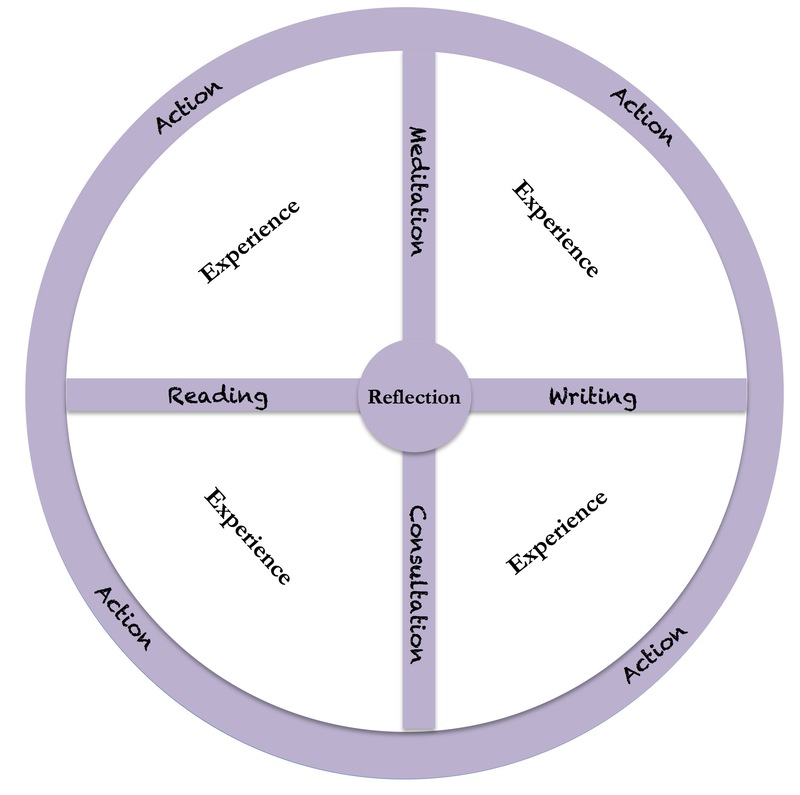 The symbol I’m developing to express a way of balancing these needs is of the wheel I want my life to run on. There is no way I can avoid an action of some kind. Even doing nothing is a form of action. So, action has to be the rim of the wheel, the surface in constant contact with the road my life is taking. However, I have to recognise that constantly, unremittingly, huge swathes of time are being taken up with experiences of various kinds, whether internally generated or externally triggered. The bulk of them are processed unconsciously, and in addition most of what is conscious will be rapidly forgotten, possibly almost undigested. It seems possible, at least in principle, to use meditation to improve our consultation skills and consultation perhaps to practise and refine our meditation. It also raises the question whether consultation, at least in the West, would benefit from more silence. Regarding the statement in ‘The Hidden Words’, that man must renounce his own self, the meaning, is that he must renounce his inordinate desires, his selfish purposes and the promptings of his human self, and seek out the holy breathings of the spirit . . . . ..
We also have to be open to the views of other people when we consult and, in my case, to the Bahá’í Scriptures when I meditate upon them or to the promptings of our higher self when we commune with it in meditation. So these two skills are not all that different either: they both enhance our understanding of reality. In the end, it’s hard to resist the conclusion that meditation will help us consult and consulting will help us meditate. Last but by no means least, the strong axle to which the spokes of this wheel are attached, and around which it revolves, is reflection, in all the various senses I have explored in detail on this blog, including its meditative aspect and its way of enhancing our detachment. With this in its proper place not only will I be able to balance my various priorities better, but I will also be able to deal more wisely with what happens when my scripts are triggered. The forces that impelled me to formulate this particular recipe were: first of all in the present the need to escape from the still active counterproductive patterns I’ve described in the first post of this sequence; next, came what I have learned from the various approaches that helped me step back enough from them to think hard about them in the past, including the years of therapy and Buddhist meditation; and last of all, what still sets the seal on my current perspective is the combination of insights from existentialism and my life-changing encounter with the Bahá’í Faith, which has set my overall direction in life every since. I have described my reasons for making this leap of faith in a sequence of posts. The short answer to the question, ‘Why did I make that choice?’ is this. I was bowled over by how closely everything I had understood in my exploration of the Bahá’í Faith mapped onto what I already believed. It was what I felt I had been searching for almost all my adult life: an egalitarian meaning system that combined activism with spirituality in a way that absolutely prohibited the use of force, or any other dubious means, to persuade others of its truth. 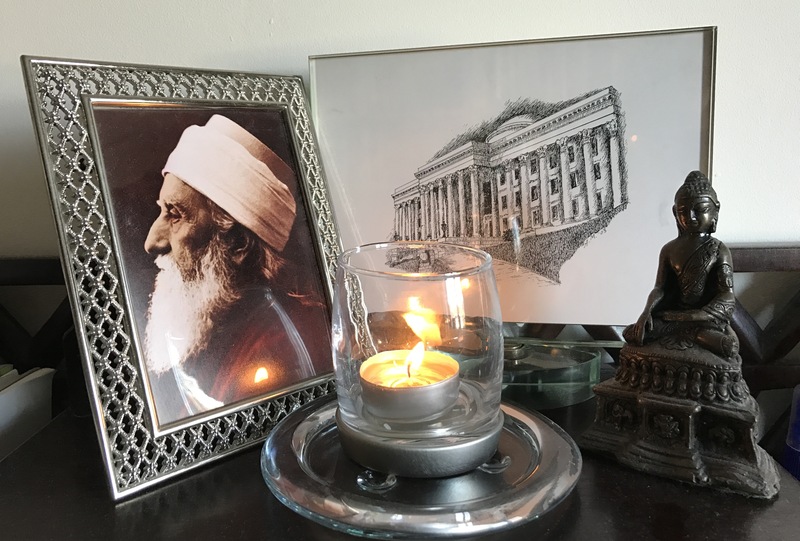 When I was asked if I wanted to join the Bahá’í community, unless all I had protested that I believed was pure hypocrisy, I surely had to put my money where my mouth had been all those years. So I did. My closest friends predicted I’d be out again in six months. It was just another of my fads. Yet here I still am 35 years later. Because the earth has a magnetic field that helps us find our right direction it wasn’t hard to see that a compass, already more than half-way to compassion in its spelling, was a good way of remembering the key value that underpins every other spiritual value in all faiths, and which in Bahá’í terms emanates from the three unities of the essential oneness of God, religion and humanity, blurred as our perception of those may sometimes be. 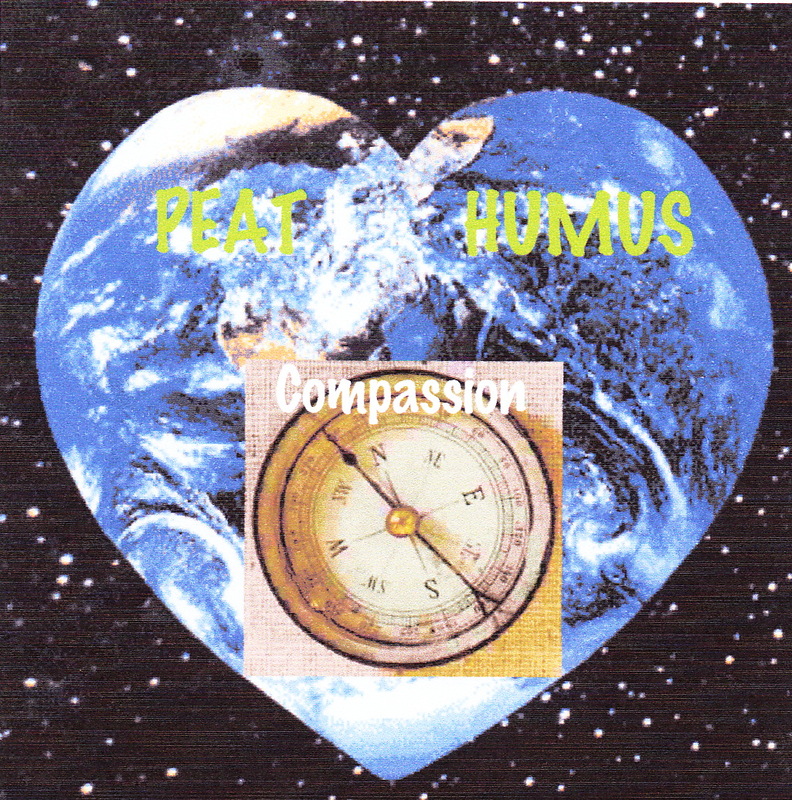 The other meaning of the word ‘compass’ is also a reminder, as is the image of our world from space, to widen the embrace of my compassion to include all life and perhaps even the earth itself, an imperative need as Robert Wright describes it. He says this even though lying is condemned outright by Him in other quotes to be found at the same link. I have faith that this compass and that map will lead me to generate enough wisdom by the processes I describe to help me climb as high as I am able up the mountain of truth so that, God willing, I can more fully recognise our interconnectedness and act accordingly, helping to build a better world in the process, I trust. Good luck to you all in your search for your compass and your map. Don’t forget to use a trustworthy wheel for the wagon of your life as you journey on.